Unfortunately I was too stupid and did not go to this amazing event, the GONG Unconvention, something that I will always regret. 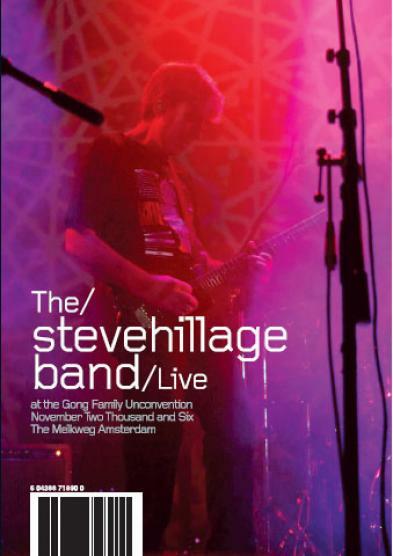 I am really happy that the GONG and now the Steve Hillage sets have become available on DVD. I have to say, this being the first SHB concert since 1979, it was great to hear this band again and Steve plays some amazing stuff and a great selection of tracks which includes the Beatles' Its all Too much, Aftaglid Parts 1-3, the great Solar Musick Suite, The Salmon Song and ending with These Uncharted Lands. The show is about an hour and the whole band is having a blast, especially Mike Howlett who is really grooving. Steve also plays some fantastic guitar and way more solos than he did during the GONG set! Great visuals and great sound mix. Pity there was no 5.1 mix though.